Want to be notified of new releases in akarki15/dbdot? 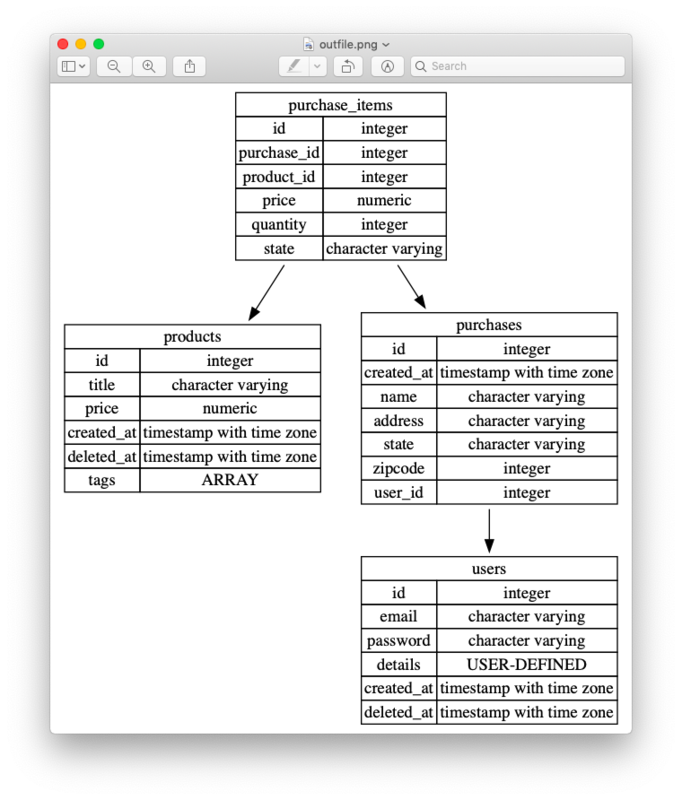 dbdot is a command line tool that generates DOT description from postgres database schema. dbdot is compiled to platform specific binary, so all you need is the right binary for your machine. Grab the appropriate binary for your architecture from the latest release here. Support connection string. What happens if the user doesn't have access to db? Add support for more db types. Add ability to whitelist columns in a table. Users should be able whitelist columns per table. But this starts getting into territory of language design. i.e. what kind of cli syntax should dbdot support. Hence this is the last item in my list. 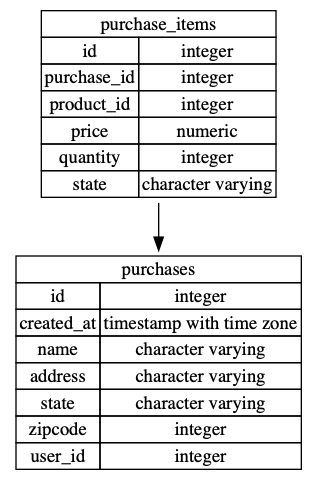 A while back I wanted a simple tool that would just spit out schema for tables that I wanted. A lot of tools I found were way too powerful, requiring a zillion installation and configuration. This inspired me to write a simple self contained tool that was laser focused on just reading schema and spitting out DOT.